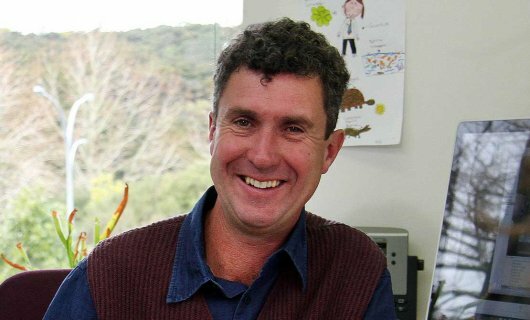 Distinguished Professor Paul Rainey is the first New Zealander to be elected as an associate member of the European Molecular Biology Organisation. The organisation has more than 1700 of the top life science researchers from Europe and around the world, including 79 nobel laureates. One hundred and forty members are associate members. Election to the organisation is recognition of research excellence and outstanding achievements made by a life scientist. Professor Rainey is part of Massey University's New Zealand Institute for Advanced Study. Based at the Auckland campus, it comprises a community of internationally recognised researchers whose expertise spans a broad spectrum of fundamental sciences. Established in 2007, it has grown rapidly to become New Zealand’s premier place for research excellence. Among the faculty is Distinguished Professor Peter Schwertfedger, last year’s recipient of New Zealand’s most prestigious science prize, the Rutherford Medal. Professor Rainey heads The Rainey Lab within the institute that researches evolutionary process using populations of microbes whose evolution is tracked in real time. Research ranges from the evolution of virulence in bacterial pathogens, to the evolution of cooperation and the evolutionary transition from single cells to multicellular life. From this research have come numerous high-profile publications that have significantly advanced fundamental knowledge in the field of biology.